Is Ponder Auto Repair offers a computerized state-of-the-art vehicle alignment service to Johnson City car owners. Our ASE-Certified Auto Mechanics are capable, personable, and efficient. Our auto mechanics are proud to have earned a loyal customer base in Johnson City and the surrounding areas. In fact, many of our clients continually choose us for their car repair needs, including the computerized state-of-the-art vehicle alignment service. The vehicle's steering wheel is not returning to center. The steering wheel shakes and vibrates. It maximizes the lifespan of your vehicle's tires. It's a significant contributor to fuel economy. It decreases the resistance that the road surface can apply to your car. It makes your car smoother and easier to drive. Ponder Auto Repair in Johnson City is your best choice for the computerized state-of-the-art vehicle alignment service. 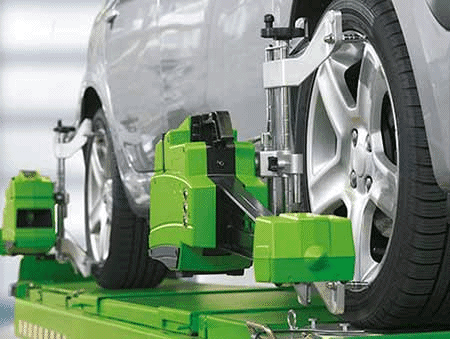 Our team of auto mechanics can fix quickly and efficiently align your car's wheels. We complete the job promptly and correctly. Because of our commitment to our excellent car repair and customer service, we have earned the reputation as the leading auto repair shop Johnson City. We take our job seriously and can ourselves into the situation of our customer so we're sympathetic to their needs and have the desire to make their driving experience feel secure again. We take pride in the high quality of our auto repair services, technicians, reputation, technology, and equipment at Ponder Auto Repair. We stand behind our work so our customers can rest assured knowing that they're in capable hands at our car repair shop. You will receive reliable car repair services when you work with our professional auto mechanics. To schedule an appointment with us for computerized state-of-the-art vehicle alignment, contact us. We are located at 915 West Market St. in Johnson City, TN 37604.